This is a cool choice if you’ve got a Blu-ray or you’re still rockin’ the DVD player. You’ve amassed an impressive collection of movies. There’s a large center shelf designed specifically for the TV and it is surrounded by two rows of smaller shelves that can house your movie collection, or any assortment of accessories or décor. This design offers a ton of space for storage. Often, you will find one that features over a dozen compartments that allow you to keep everything easily displayed and/or organized. If you want built in features such as these, this is a good style to choose. There are also ones that have shelves covered by cabinet doors or drawers, and – for those who prefer simplicity – other designs that are less busy. You can make the room look bigger by getting the structure in white. You may even have lights built into each shelf that will allow you to spotlight your favored items on display. Of course you may prefer something simpler. 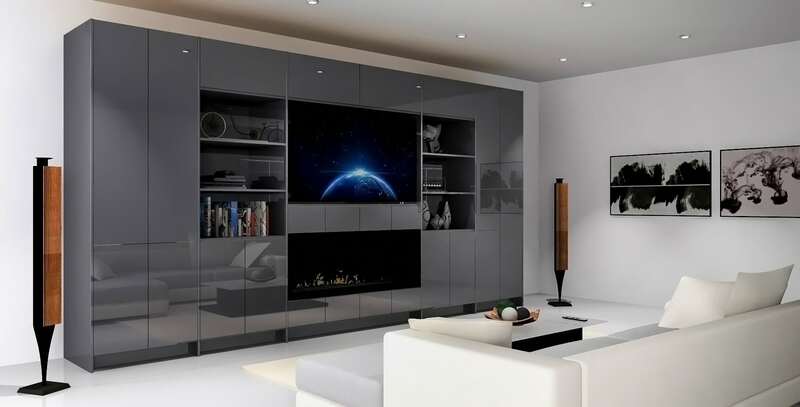 You can still store your electronic accessories and enjoy the streamlined look of a TV stand or console. It is an entertainment center with a low horizontal design that offers a lot of space for your media players, game systems and/or movie media. You may find large consoles as well, even those that feature drawers. They’re all of reasonably sturdy construction, but always confirm that the one you choose will be able to support the weight and size of your TV. You’ll find that stands for some of the larger TV’s are extra wide. This is a good thing, because it allows you to display accessories on the shelf, next to the TV without blocking any view of the screen. For tasteful and aesthetic reasons, pick a stand that is artfully in proportion with your TV. For that extra bit of elegance find one with glass shelves. They’re effective visually; they just make everything look more expensive. Get one with black glass and you’ve got a sleek console that seems to speak of luxury. 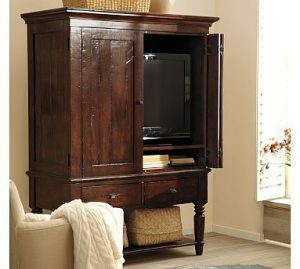 Tall TV stands are very popular, and they often include a built in top hutch. A hutch is a storage shelf that you utilize in a variety of ways, most popularly it is used to shelve audio speakers. But of course, it works just as well housing movies, books or for displaying family photos or anything else dear to your heart. 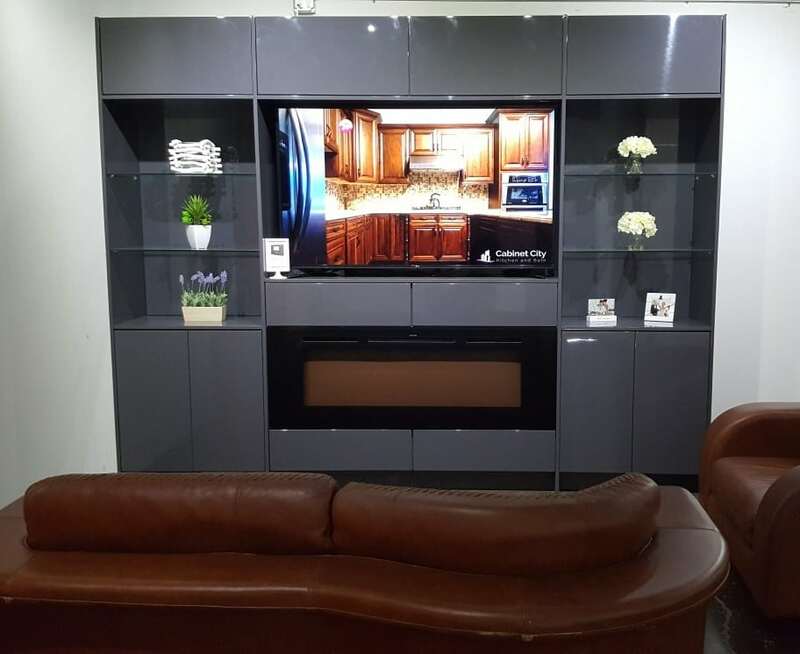 TV stands with hutches are also available and they feature even more shelving on each side. Despite this, they actually consume less space than an entertainment wall. For those who love to maximize space, you can get one that is specially built to fit in a corner – that’s the best option if you’re working with a smaller room. All of the centers with hutch designs come in a variety of finishes, there’s one made for nearly any room theme. For instance, an oak center would be most at home in a traditional setting, while a jet black one is perfect for a modern motif. The height of the hutch and center itself will vary, so do your due diligence and get your measurements sorted out first. If you prefer to conceal the assortment of electronics, wires and cords that undoubtedly surround your TV, an armoire might be the answer for you. The design is a bit of an old standard really, two tall cabinet doors cover the TV that towers over a few spacious drawers below. 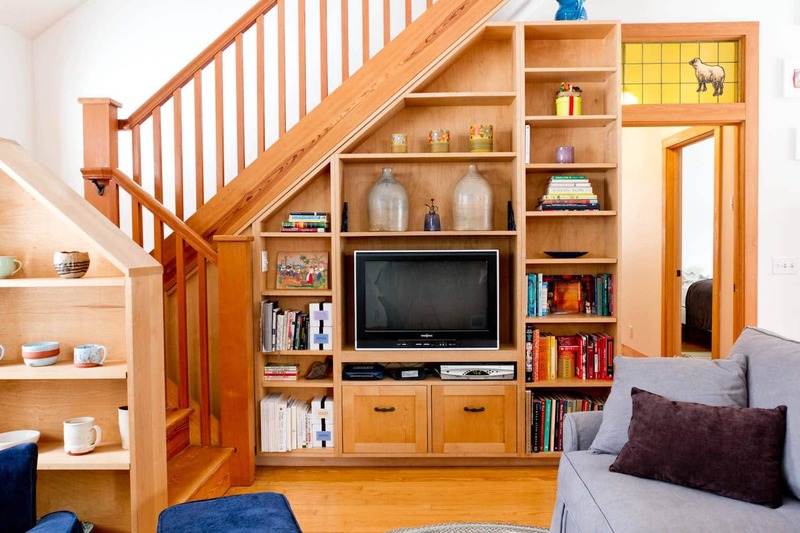 They usually feature shelves above the TV (and sometimes below) upon which you may choose to place your Blu-Ray player. You may even have a power bar incorporated into the design, built in to keep all the wires coordinated. You can find these made to specifically fit into a corner as well. 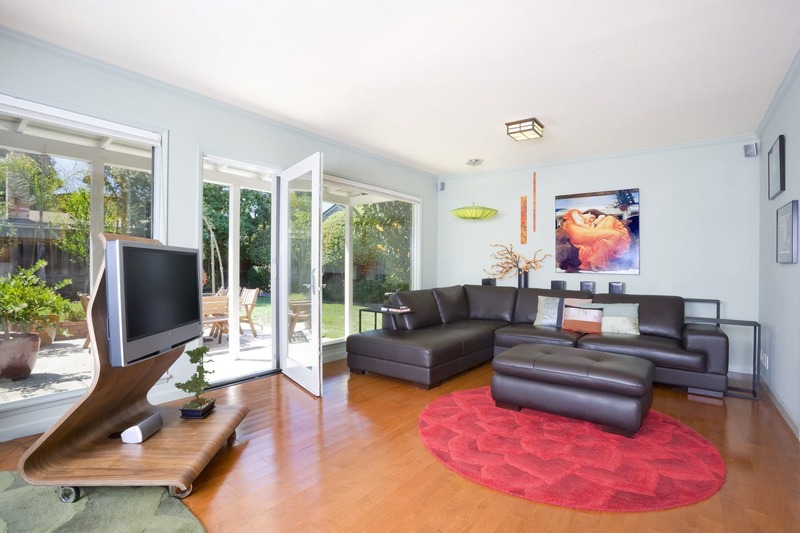 Whatever your living environment is like, there’s an entertainment center that’s perfect!